This little t-shirt site started out as a couple college kids designing shirts for tourist companies & now there are over 36 million designs on SunFrogShirts.com. The beauty is that anyone can upload a tee shirt design & if your design sells, you make a commission! Here's one of their big Valentine favorites & a sure way to score some major brownie points. 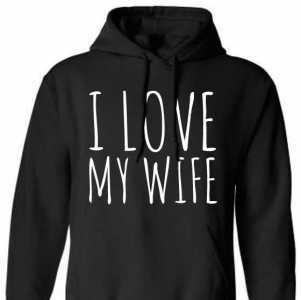 "I love my wife" t-shirt, $24.99 or Hoodie, $39.99, 3 colors. Be lovable.